If you’ve been following the news over the past few months, no doubt you’ve heard about the recent spate of high school football players killed playing the sport. What was once considered a local tragedy has become a national story as outlets have begun counting each death and weaving a narrative: high school football, once considered a harmless past-time, is claiming more and more lives. The seventh and most recent death was covered by CNN, CBS, USA Today, NBC, ESPN, Fox News, Sports Illustrated, New York Times, Washington Times, and Yahoo News. Previous deaths were also covered by People, ABC, The Guardian, Reuters, MSNBC, The Washington Post… it’s harder to find a national outlet that hasn’t covered the story. And schools are listening: CBS reports that in the wake of mounting casualties, some schools are closing their football programs all together. You know it must be scary, because CNN even got its graphics team to animate two CGI football players tackling each other (“Is high school football worth the risk?” the segment asked). All of which is baffling, given that the frequency of high school football deaths hasn’t increased at all, and death rates remain extremely low. In the past two decades, there were 282 deaths as a result of high school football, or 14.1 annually. This year there’s been seven, about halfway through the season. In short, the rate of football deaths has remained completely constant. 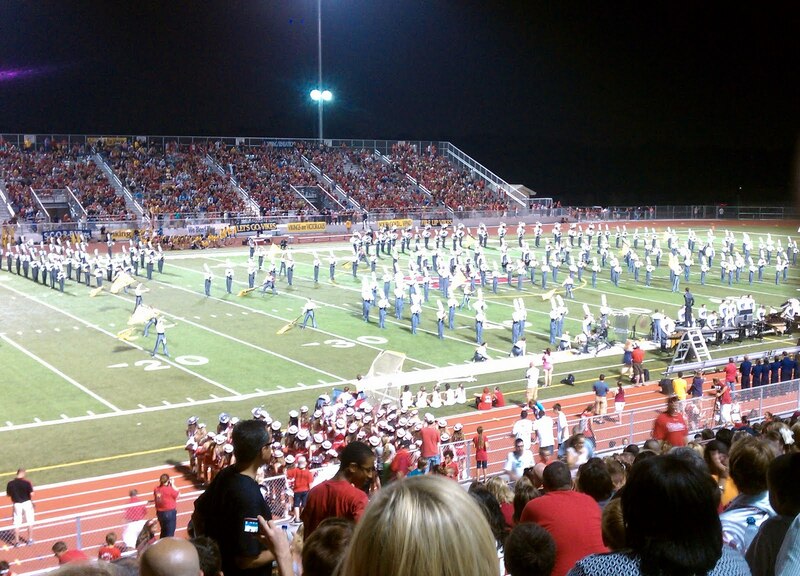 The chances of dying during a high school football game have also always been absurdly low. 1.1 million high schoolers play the sport every year, so even if the rate of death doubled overnight, they’d have about a 0.00001% of dying before the season is out. In fact, high school football isn’t even the deadliest high school sport; it’s less dangerous than water polo, softball, and field hockey, and roughly as dangerous as lacrosse. What then justifies all the sudden media attention? It should go without saying that every sporting death is a tragedy, especially when the victims are so young. But hundreds of high schoolers die every day of equally tragic causes and fail to make front pages and television screens across the nation. Why should football be singled out? The simple answer is because right now at the highest level of the sport, there is a massive scandal surrounding the National Football League’s handling of concussions. In a recent study, a whopping 96% of former NFL players’ brains were found to have suffered permanent damage. The league was forced to pay $1 billion in settlements to players who allege they covered up the risks of repeated concussions. During that aforementioned CNN segment, they treated high school football deaths and concussions as essentially the same problem. But conflating the NFL scandal and high school football deaths confuses the issue. The majority of high school football deaths are due to what researchers call “indirect causes,” such as heat stroke, enlarged hearts, and other undisclosed medical problems. Only about 30% of deaths in the past two decades were as a result “direct causes” due to contact, a category that includes head injuries, but also ruptured organs and spinal injuries. And when deaths are due to a concussion, it still has little to do with the kind of lifelong damage cause by multiple concussions the NFL is accused of covering up. Perhaps there is a greater story to be written about the risks of concussions even on the high school level. But if so, why did the media salivate over the deaths that were caused by a broken neck, a ruptured spleen, and a seizure, fatalities that could have occurred at any level of any contact sport? The media’s wall-to-wall coverage of high school football deaths is therefore little more than rampant sensationalism. They’ve turned an extremely rare but tragic circumstance into part of a scary trend… one that, coincidentally I’m sure, plays on one of the greatest fears of doting mothers. It’s only one step above the bogus media stories warning parents about evil strangers poisoning Halloween candy (Hell, given the current obesity rates, even unposioned candy is deadlier than letting your kid toss around the pigskin). It’s sad that, yet again, the media is more concerned about selling fear than focusing on issue of actual importance. But what saddens me the most is that it’s the kids just looking to have fun who stand to lose. The book about my time coaching in Germany is coming along quite well, I think. I’ve written about 25,000 words… about 1/4 done and gotten through our third game…A miserable day at Frankfurt that now I can put away forever! Here is an excerpt about a much better day… Our first home game at Lindenhof. …During warm-ups, Coach Frank wants to talk about the starting lineup. He doesn’t want Steve to start at running back. Steve hasn’t yet practiced with us and it would send a bad message if an import can step off the plane and into the starting lineup. I agree. Not knowing the language, I’m not qualified to deal with the political or disciplinary reasons that often determine who ought to be on the field. I tell Frank and Leo to take care of substitutions and just let me know who’s in the game. Later I hear that starting Kevin Kienzle at running back came as a positive surprise to the players, who assumed and feared the imports would take over the team. The difference between Lindenhof and the TSB is huge. I’d been disappointed by the setting of our first game, but I’m impressed today. The atmosphere is fantastic. The stadium holds around 1000 people, but it seems perfect for us. By kickoff nearly every seat is filled and several hundred line the low rise on the far sideline. The Razorback fans are loud and boisterous, banging drums and blowing horns. Somebody brought a portable, homemade electronic scoreboard on a flatbed trailer, still no clock, but it’s something. During pre-game introductions the players emerge from an actual locker room below the stands at the 50-yard-line. Non-starters come first, hoisting the Razorback flag as they mob together at mid-field. The PA announcer introduces each starter, who climbs the steps to run through canned smoke and a double line of Razorback cheerleaders. 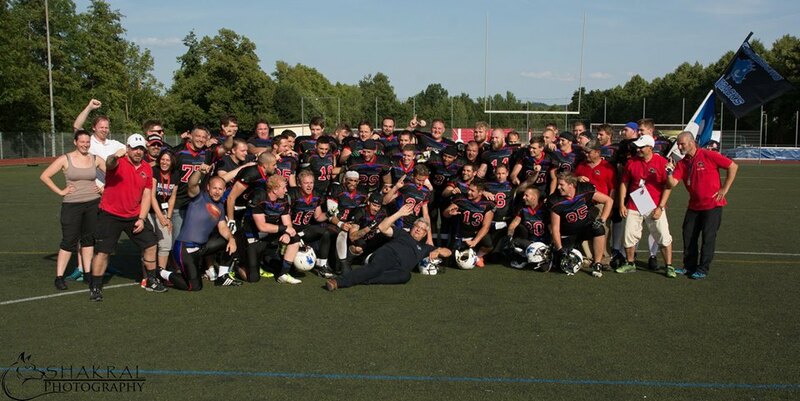 European audiences enjoy the spectacle surrounding American football and, at Lindenhof, the Razorback organization puts on quite a show. It’s a perfect football day, a slight chill in the air and bright, sunny skies. From the covered stands the view is beautiful. Green wooded hills and the towers and palaces of downtown Weingarten. With a large and enthusiastic crowd in the new stadium, the pageantry is exciting to be a part of; I just hope we give these people something to cheer about when the game starts.